Elastane fabric for enhanced fit. Fitted style. 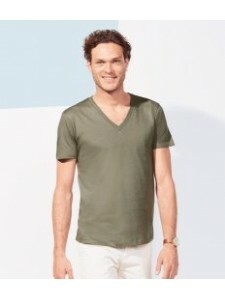 High mitred V neck with narrow rib. 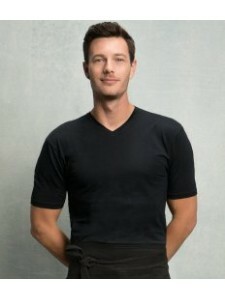 Taped self fabri..
Ribbed mitred V neck. Shoulder to shoulder taping. Side seams. Extra body length. Twin needle sleeve.. Stretch fabric for a modern fit. Enzyme wash. Soft touch. Taped neck. Soft stretchy ribbed V neck. L.. Slim fit. Mitred V neck. Shoulder to shoulder taping. Side seams. Removable adhesive neck label. Des..
Retail fit. 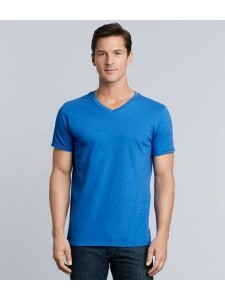 Ribbed V neck. Taped neck and shoulders. Twin needle sleeves and hem. WRAP Certified Pro..
Pre-shrunk. Semi-fitted. Mitred V neck. Single needle topstitched front neck. Shoulder to shoulder t..
Pre-shrunk. 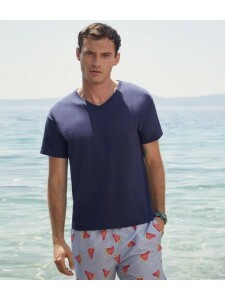 Semi-fitting. Mitred V neck. Shoulder to shoulder taping. Tubular body (some colours in ..
Pre-shrunk jersey knit. 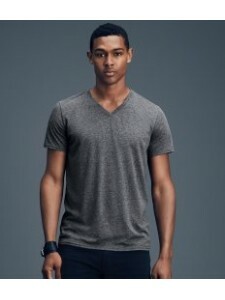 Mitred V neck. Taped neck and shoulders. Twin needle sleeves and hem. Tear o..
3/4'" ribbed collar. Taped neck and shoulders. Mitred V neck pattern. Tubular knit. 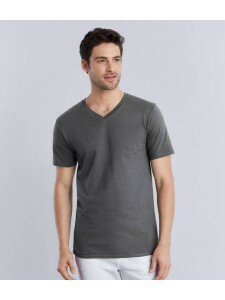 Twin needle slee..
High cut V neck in cotton/Lycra® rib. Taped neck. Tubular knit. Twin needle sleeves and hem. Cut out..
Ribbed V neck. Self fabric taped neck. Tubular body. Twin needle sleeves and hem. Cut out label. WRA..